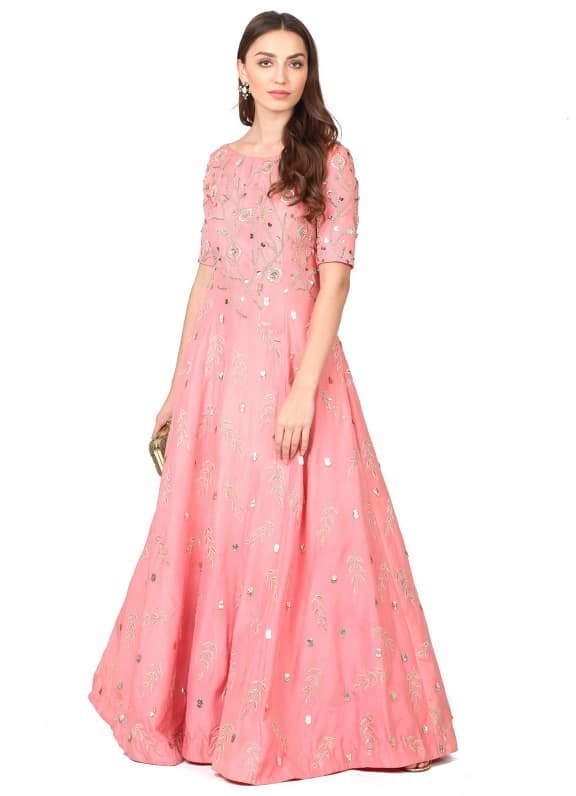 This ensemble features a pastel pink anarkali gown with gold zari and gota patti embroidery. 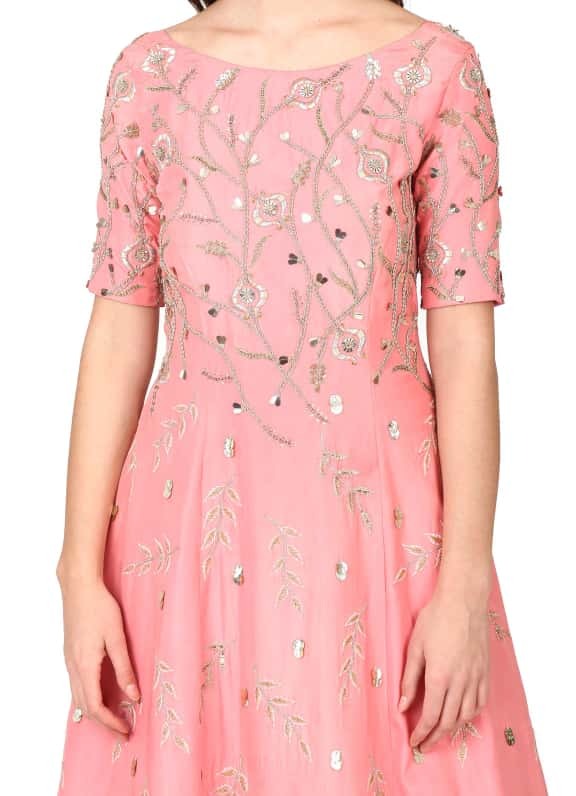 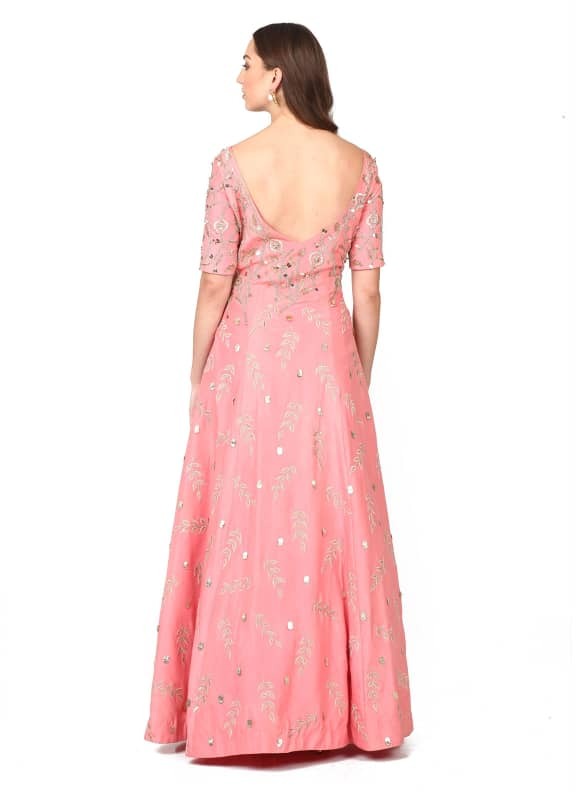 Steal the show with this pastel anarkali gown. 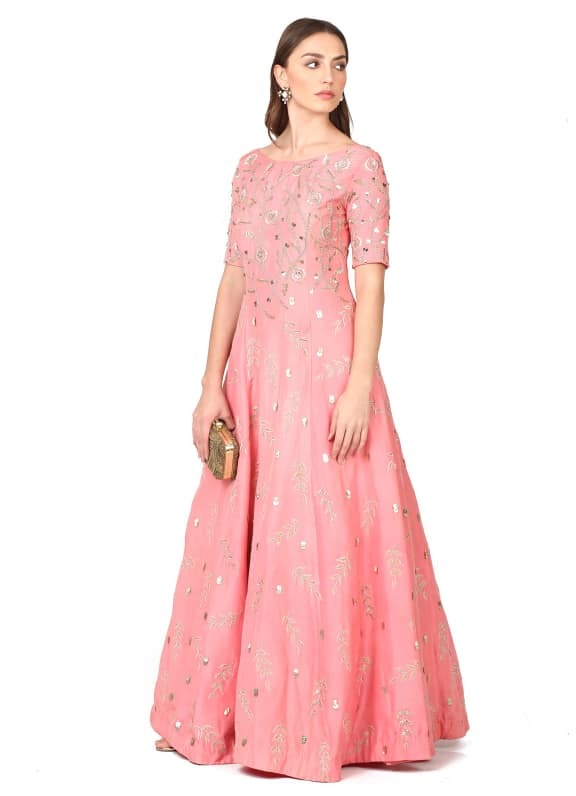 Perfect for a reception or cocktail night, style your look with a pair of Micare earrings and an Alana clutch.